Sol LeWitt, Wall Drawing #273: Lines to points on a grid, 1975, water-soluble crayon on wall. 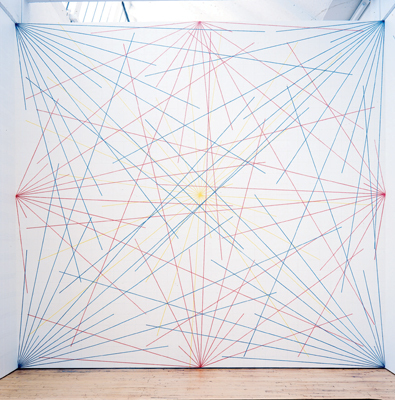 Installation view, Dia:Beacon, New York, 2007. Photo: Bill Jacobson.